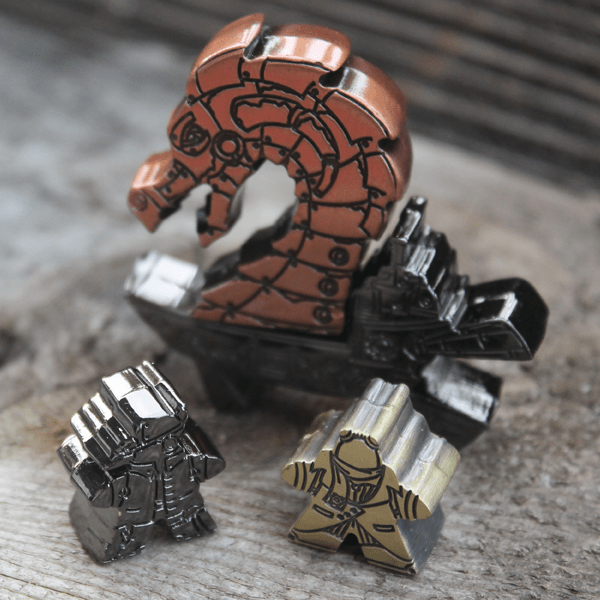 Our friend Tesh has Kicked off his latest Kickstarter for metal Steampunk meeples. This will complete the original set of meeples envisioned, plus some. I particularly like the rocketeer.